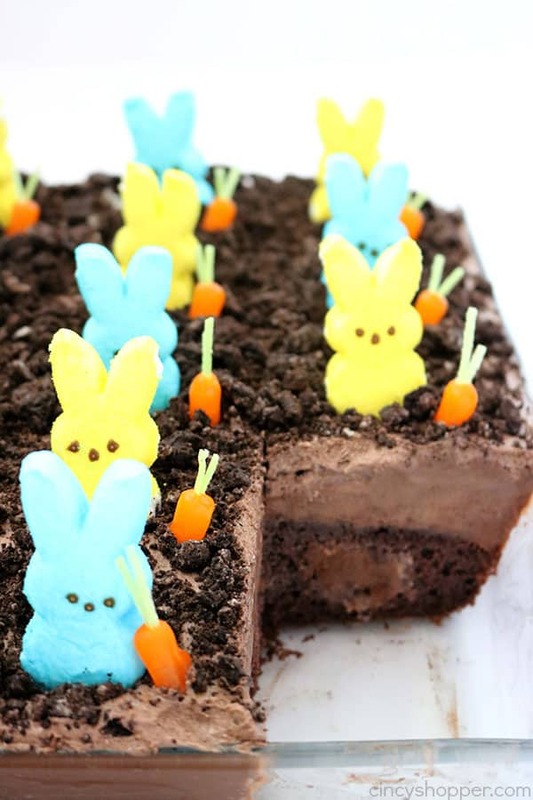 If you are needing an easy but delicious dessert for Easter, you will want to make this PEEPS Easter Garden Poke Cake. Super fun, colorful plus …it’s easy. Spring and Easter are just around the corner. I am so excited to be rid of all the nasty cold weather we have had this winter. When all of the Easter decor and candy hit the shelves at the stores, I always get anxious for the bright, warmer days that follow. I like to share some of our favorite recipes for the holiday in advance. Last week, I shared a super refreshing Easy Spring Sherbet Cake with you to consider making for your Easter desserts. My family loved it! The kiddos always get excited when a holiday is in the near future because I start making fun recipes for the blog. 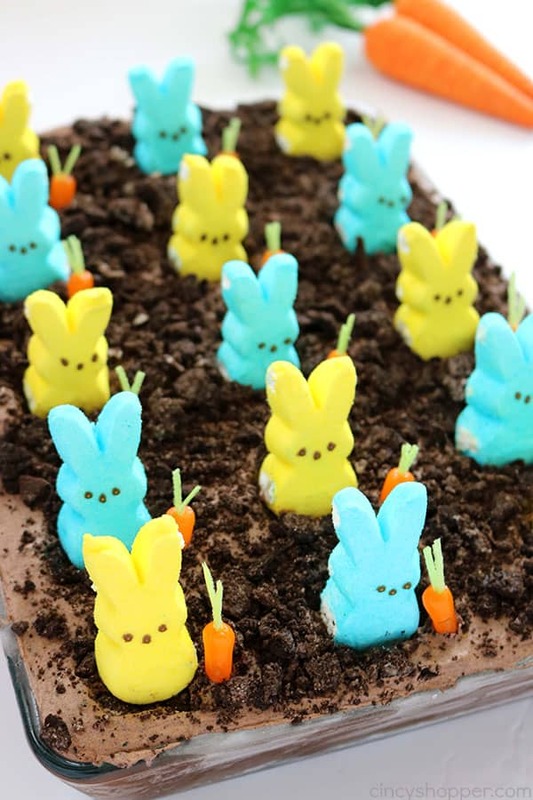 This PEEPS Easter Garden Poke Cake had them SUPER excited. They could not wait to get their mitts on this bad boy! I knew they would love it! Poke cakes are always their favorite. I receive requests for our OREO Poke Cake more than you could ever imagine. OREO cookies are always great when they are paired with a cake. The crunch from the cookie goes so well with a soft cake. 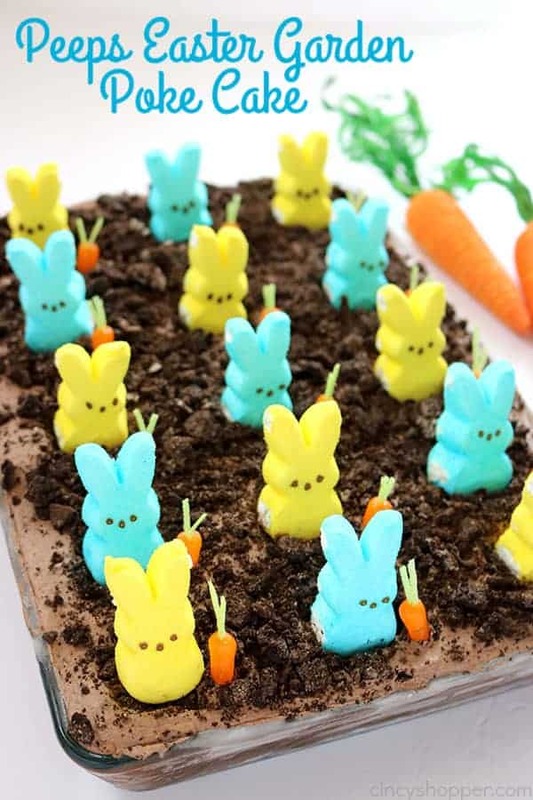 PEEPS are always so fun to use for recipes. Heck… there are PEEPS for just about every holiday now. Easter bunny and chicks are the original and they are always so bright and colorful. 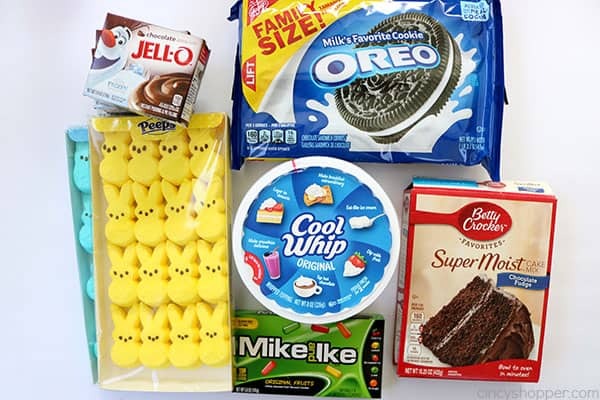 I have used the bright bunnies for PEEPS Cupcakes in the past. They are just so cute. 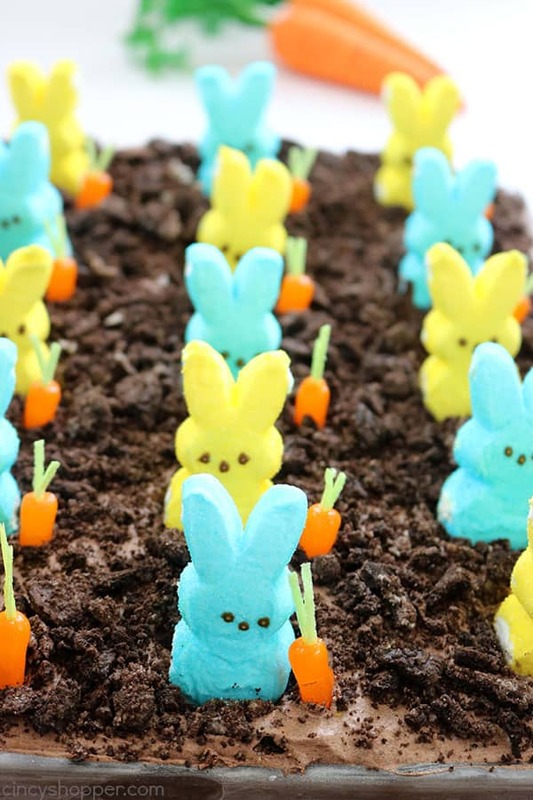 This Easter PEEPS Garden Poke Cake will be perfect for feeding a crowd during the holidays. I used a 9.5X13.5 pan for ours and we had 15 pieces of cake. I like to freeze my cake for about 1 hour and then transfer to the refrigerator (keeps it nice and firm). Then, I pull from the refrigerator about 10-15 mins before serving. The cake didn’t last long here at my house because my kiddos had friends visiting and they were quick devour this delicious cake. The layers of cake, pudding, Cool-Whip, and crushed OREO’s make the cake over the top AMAZING! 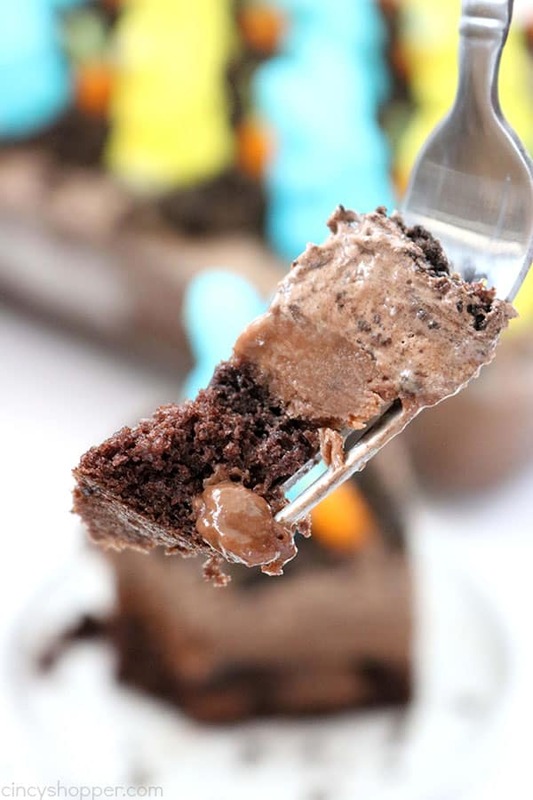 To make this Easter Cake, you will need a box cake mix with it’s ingredients, chocolate pudding (plus milk), Cool-Whip, OREO cookies, and of course some PEEPS in your favorite colors. I used blue and yellow because the two colors look so good together. To make the little carrots, you will also need some Mike and Ike candies as well as edible Easter grass. I found my edible grass at Kroger. You can check and quite a few stores usually carry it this time of year. 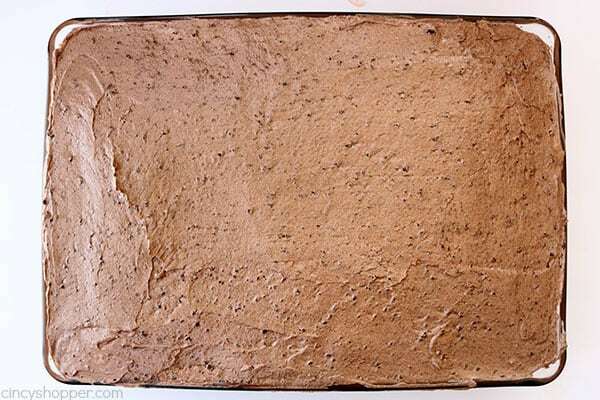 Make cake mix according to box directions for 13 x 9″ pan. 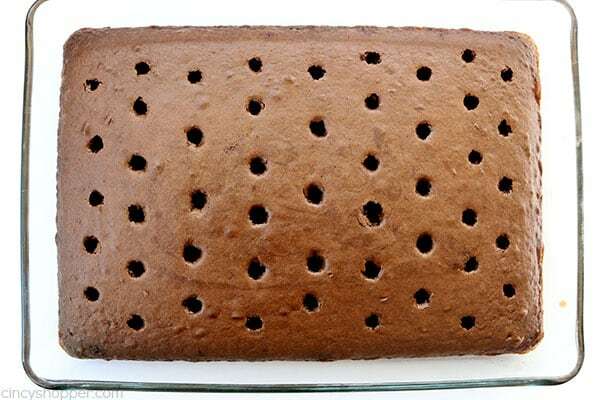 Use a large wooden spoon handle to poke holes in cake. In a medium bowl, combine 2 boxes pudding mix and 4 cups of milk. 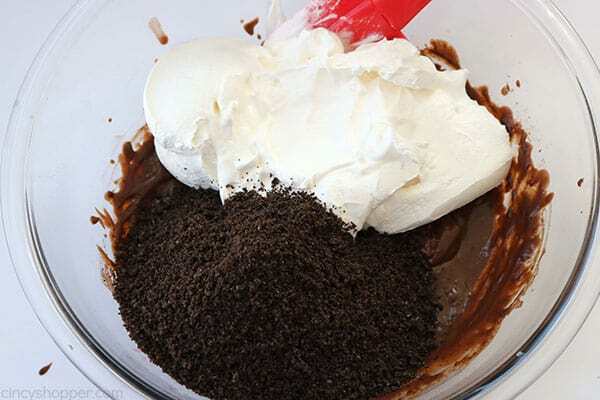 Whisk well and pour evenly over cake. Be sure to gently press pudding into holes. Gently tap pan on counter to try and remove air. In large bowl, combine 1 box pudding mix and 1 cup milk. Add 16 crushed Oreos and Cool Whip. 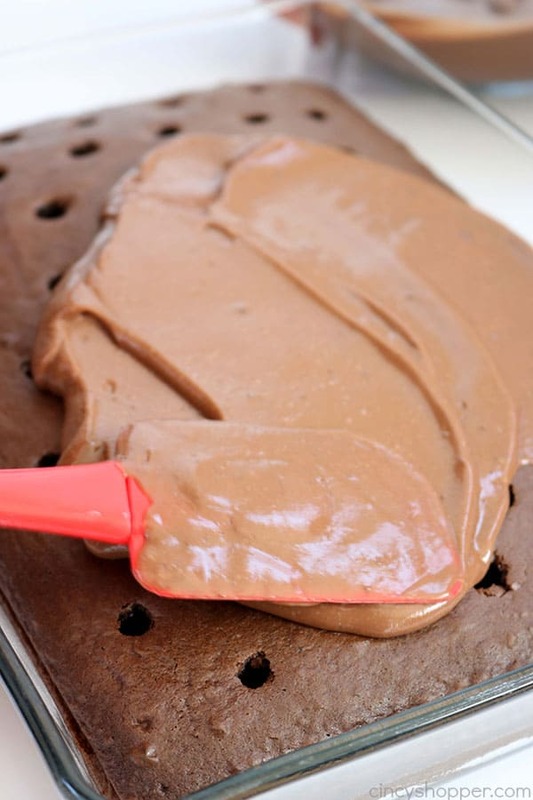 Spread mixture evenly over cake. 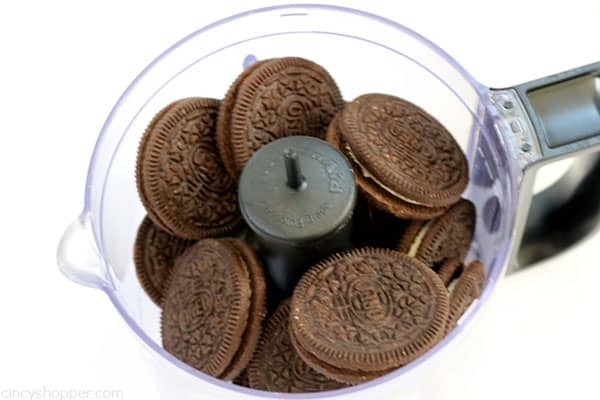 Sprinkle 16 crushed Oreos over top of cake. 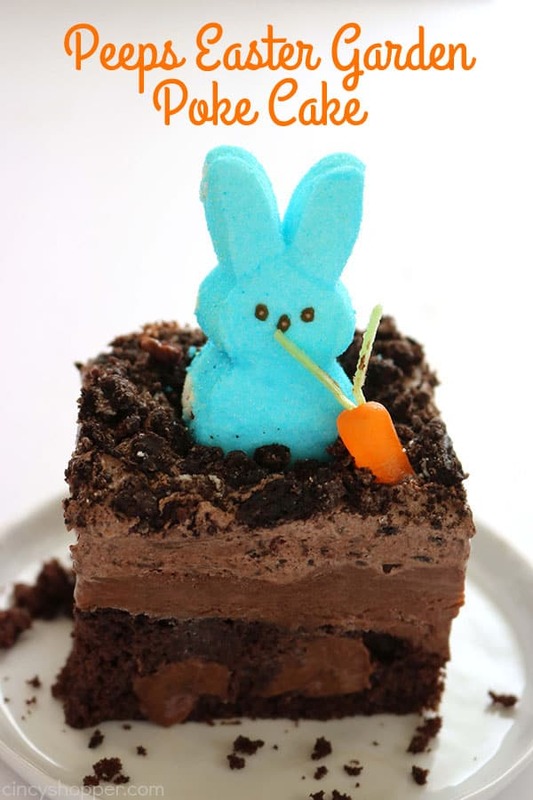 Add Peeps to top of cake. Cut edible grass into thirty 3/4″ pieces. With a toothpick, poke hole in end of each Mike and Ike and insert 2 pieces of grass. 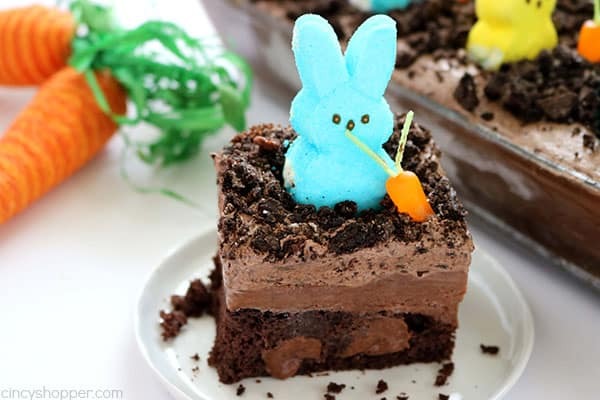 Stick each Mike and Ike into cake beside a bunny. 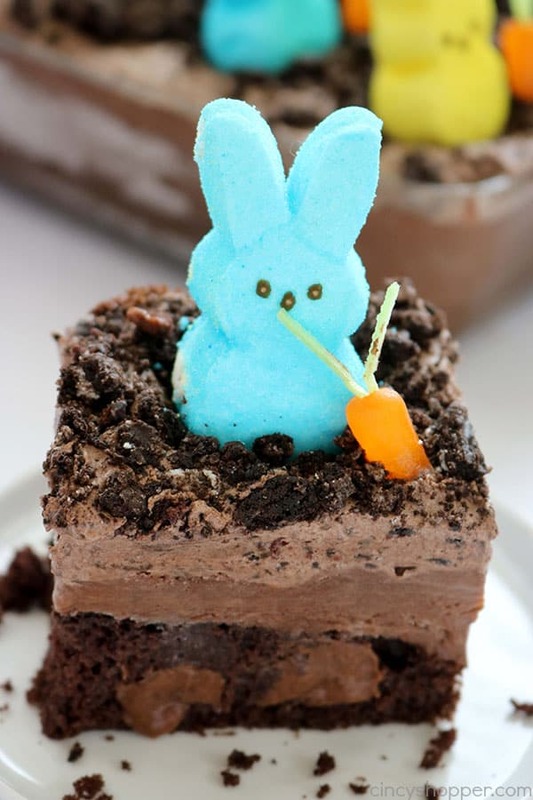 Do you have a favorite PEEPS dessert that you like to make? 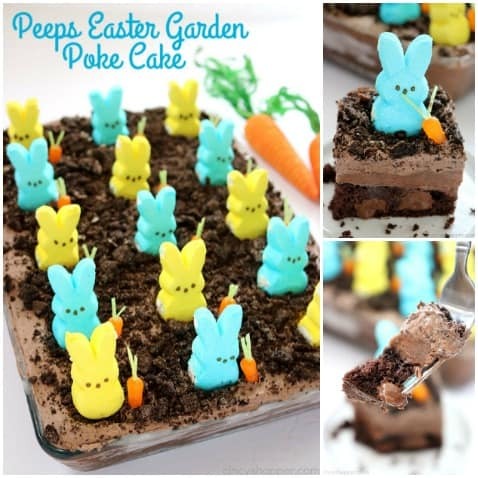 If you are needing an easy but delicious dessert for Easter, you will want to make this PEEPS Easter Garden Poke Cake. Super fun, colorful plus ...it's easy. Make cake mix according to box directions for 13 x 9" pan. Cut edible grass into thirty 3/4" pieces. You had all the ingredients down but no place could you print all the directions on how to make the cake and what to do. I had to write it down so I could make it, I would like to have printed everything. so if you could would you please put the whole recipe where I could print it. Thank You Sally Brann. Do we take the filling out of the Oreo? Hi jasmin! You will leave the cream inside:) Hope that helps!